When looking for an all-natural remedy for flea and tick control, none can beat old-fashioned lye soap, such as that still made today by Fels Naptha. While lye is a harsh chemical at full strength, today's soap makers have adapted their formulas to use only as much as needed for cleaning. In this form, it is very gentle and effective, and tempered by the natural glycerine left in the Fels Naptha soap. According to My Sensitive Skincare, commercial soaps contain preservatives and additives that detract from the soap's effectiveness and are irritating to the skin. The same is true of the shampoos we use on our pets for flea and tick control. Fels Naptha soap has none of these additives and is one of the best ways to rid your pet of its nasty little hitchhikers. Fill a tub with warm water. This can be your bathtub, or an outdoor tub for bathing your animals. Drop in a bar of Fels Naptha soap. Place your pet in the tub. Lather the soap in your hands if your pet is small or overly sensitive to handling, or lather directly into the animal's coat. Rinse the soap out of the animal's coat, being sure to get it all. If you feel it necessary, repeat the lather and rinse. 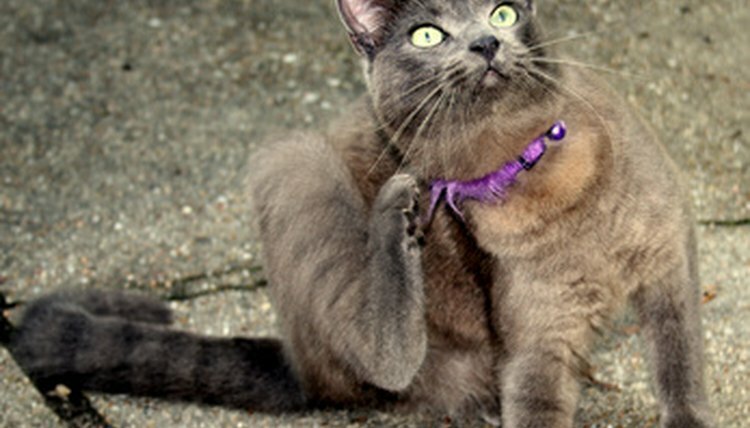 Cats and other small animals often don't like bathing. Lathering the soap in your hands before applying it may be more tolerable to them. Have lots of towels handy for afterward. Choose a tub size suitable for your pet. Placing a chihuahua or cat into a bathtub full of water could be a drowning risk. Use caution and don't leave your pet unattended. Do Bearded Dragons Need Water Bowls?